This is a reference page for home lighting ideas articles here on L&L. It covers everything from bedrooms, bathrooms, kitchens, living rooms, the outdoors, the garage, and much more. 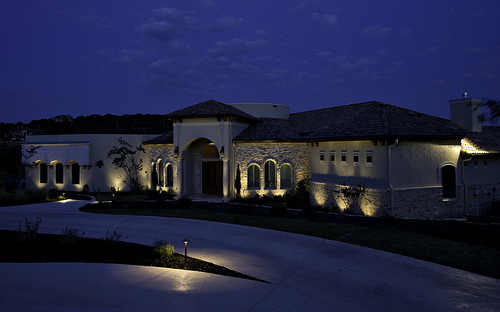 Here in our LOOK BOOK, you can find inspiration for driveway lighting ideas. Here you will find a number of images showing different ways to light a driveway and a range of different driveway lighting fixtures. A Homeowners Guide To Driveway Lighting: The 3 Areas To Light and Choosing Between Low Voltage or Solar Lighting. 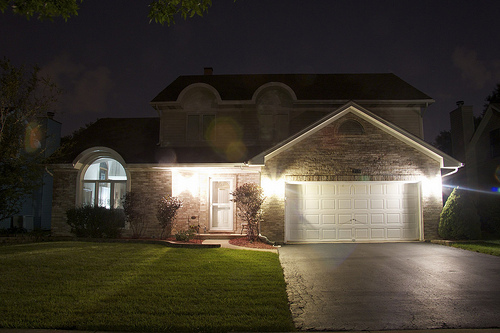 Outdoor driveway lighting is important for a number of reasons. 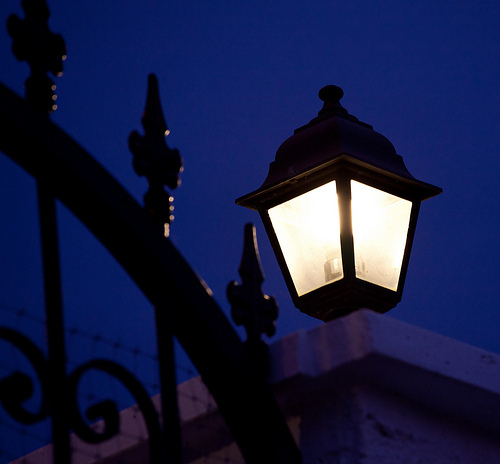 Safety – proper lighting makes it easier to navigate the driveway at night avoiding hazards along the way. 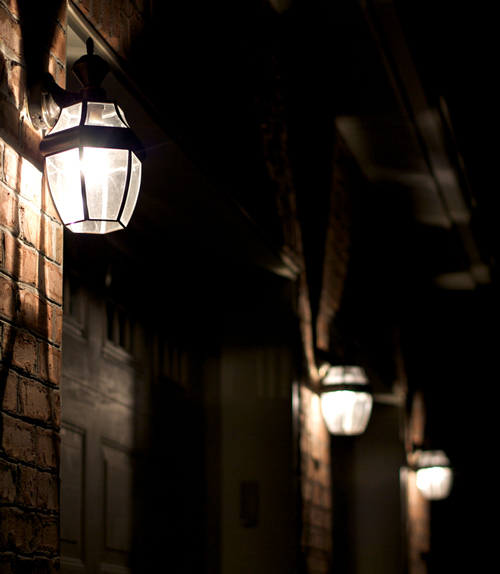 Exterior lighting of your home also helps deter possible intruders. There is also the curb appeal, helping increase the value of your home. When it comes to driveway lighting there are 3 areas to light: the entrance of the drive way, the path/driveway itself, and the end destination (garage/front door). You will then have the choice of low voltage or solar driveway lighting. This is where your driveway meets the street. Lighting is important here as it guides drivers out, will help drivers on the street see you coming out of the driveway, and you will be able to see if there are any pedestrians crossing the path. 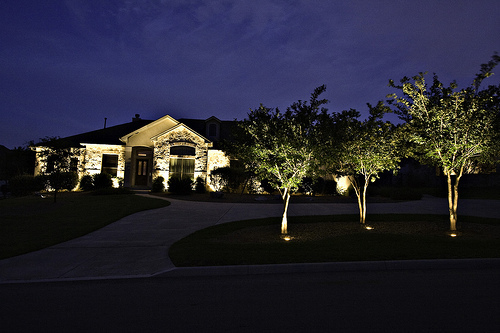 The most common lighting solution for driveway entrance lighting is to have 1 or 2 lamp post/tall pole lights installed. If you have a gate or a wall of some sort you can have lanterns placed on top of them. 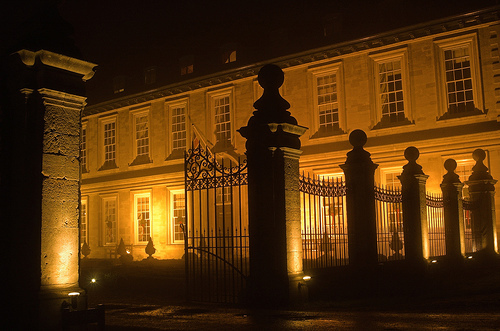 Or it is fairly easy to have short brick or stone pillars built on both sides of the entrance which then can have these lanterns installed on top of them – these piers can also act as a mailbox and address signage. When planning on installing light fixtures on the driveway path, look for areas that pose as obstacles or areas where there is a change in direction. Most driveways are straight, so this should be quite simple. 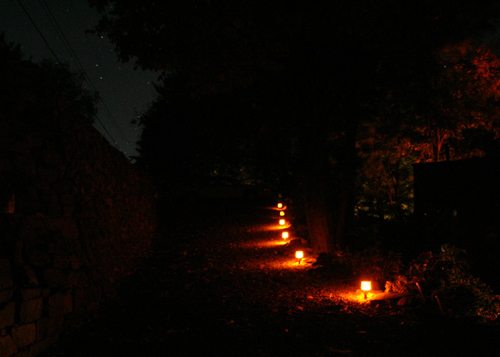 But some obstacles to highlight with lighting would be any slopes, trees, walls, flower beds, or curves in the path. A curved driveway will need to have the edges lighted as to be able to guide drivers at night. 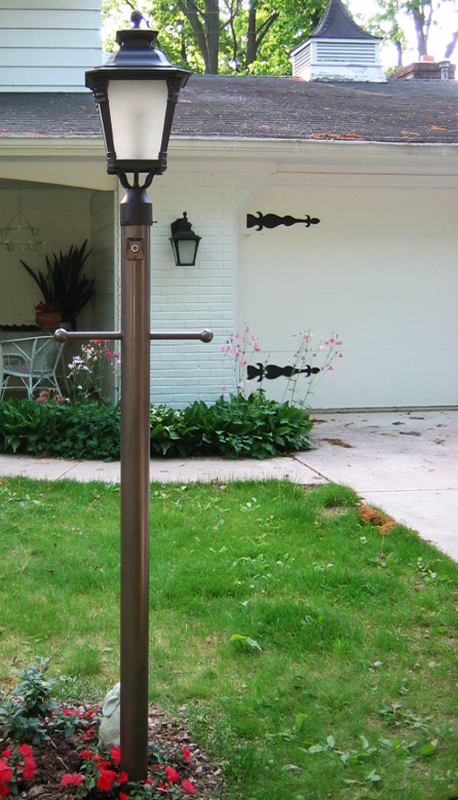 Post lights (can be tall or short): these are shorter than pole lights so they are closer to the ground and will light the edges of the driveway. Be careful not to make the common mistake of over-lighting your driveway. This can create a runway effect. To avoid this, the lights should be spaced well out, on alternating sides. All the above has mentioned task lighting – lighting used specifically to help a driver see the path. 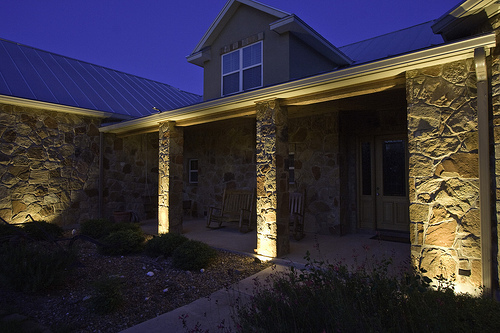 You can also add some ambient lighting that will add light to the driveway. Trees, shrubs or flower beds close to the driveway can have an up-light or two highlighting them (possibly creating a focal point in the garden). This light will add to the driveway lighting. 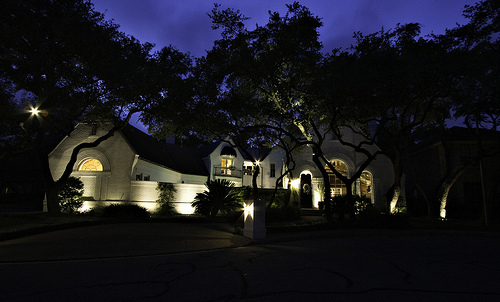 Driveway lighting will also add to your curb appeal and property value. Driveways, especially straight ones, will create a focal point at the end of the drive way. This is because the eye will be drawn down the lines and lighting of the driveway. This effect also makes smaller spaces appear larger. So a garage or front door will be the focal point as most driveways lead the eye here. If this is the case you will want to make sure that you have elegant front doors or garage doors, and these should also be well lit. These lights will also provide light for the parking area of the driveway. These lights are not as elegant and appealing as having enough ambient/task lighting (lanterns, pole lights, etc.) But it will save money as they only come on when something is in the driveway. They also add to peace of mind being a security light that will deter potential intruders. Outdoor flood lights can also light the driveway path itself, if the distance from the house wall they are installed and driveway path is short enough for the light to reach. When it comes to choosing your driveway lighting fixtures you will have the choice between solar powered or low voltage. Each comes with their own benefits and draw backs. Solar driveway lighting: These are easy to install as there are no wires. Most will just require you to stake them into the ground. There is also no added expense to your electrical bill. 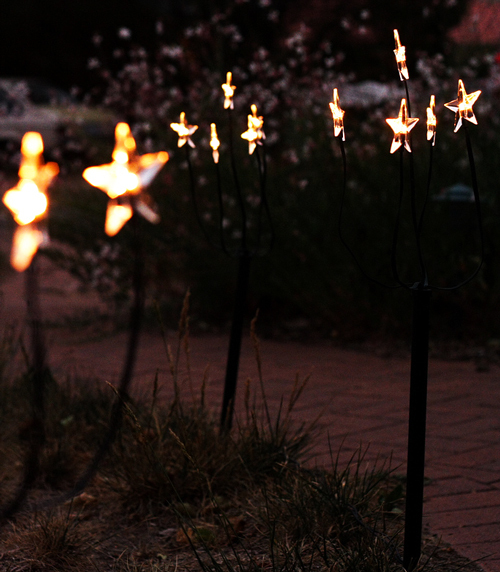 These lights will need enough sunlight in the day otherwise they won’t shine as bright as they could at night. So the light performance can be hampered in the winter months or during bad weather. 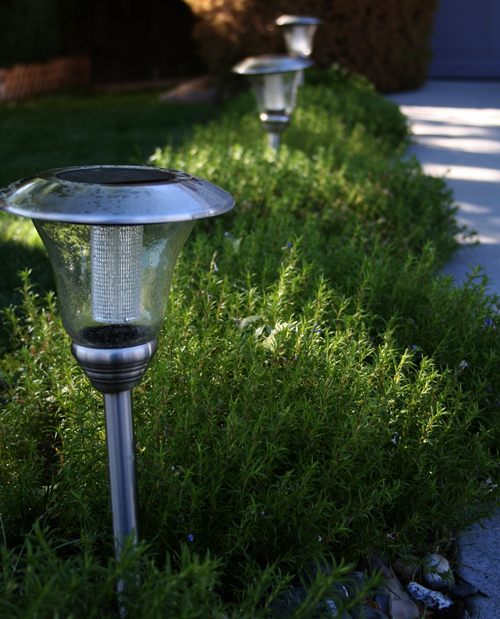 If you do decide on solar driveway lights, it is best to find the highest quality possible. Cheap light fixtures will have lower quality solar cells that will not convert the suns energy as efficiently, therefore the lights will not shine bright or long. Low voltage driveway lighting: Choosing to go down this route you will have more reliable, durable and effective lighting. But they are much more expensive to buy and install, due to the added wiring. They will need to be connected to a timer or motion sensors. They are low voltage so they are cheaper to run than your standard household lights but not as cheap as solar lights. 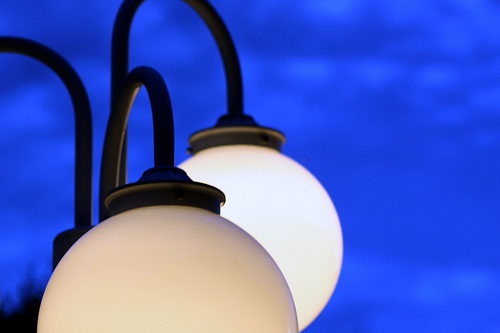 The most beneficial part of low voltage lighting is that they shine bright in all conditions. 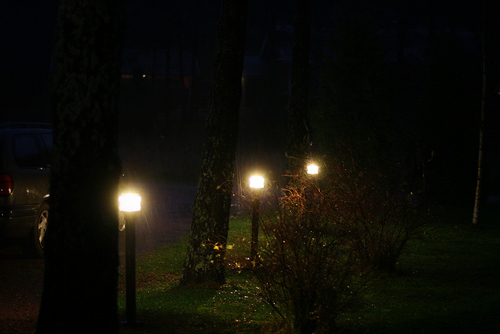 Also they add more value to a home as they are permanent driveway lighting fixtures that a homeowner has invested in.